Independence Square and Monument: the heart of PHNOM PENH. 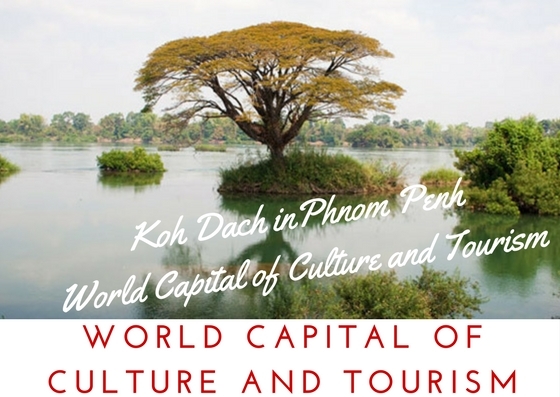 This is WORLD CAPITAL OF CULTURE AND TOURISM! But what are the cities landmarks and festivals and the true heart of the WORLD CAPITAL OF CULTURE AND TOURISM? Wat Ounalom, the heart of Cambodian buddhism and a must see in any itinerary in the World Capital of Culture and Tourism – Phnom Penh. This perfect natural landscape has becoming the setting of a rich cultural city that encompasses religious monuments and heritage treasures like: Wat Ounalom, the 1443 shrine build for a sacred hair of the Buddha and considered the seat of Cambodian Buddhism who will celebrate 575 of continuously and interrupted religious activities. Another landmark is the famous Wat Phnom, built in 1372 and restored or reconstructed in 1434, 1806, 1894 and 1926 and has become a symbol of the capital city Phnom Penh and regularly used for prayer, small offerings, and meditation. Other religious places and cultural landmarks are Wat Langka who is reputedly one of Phnom Penh’s five original Wats (1422). 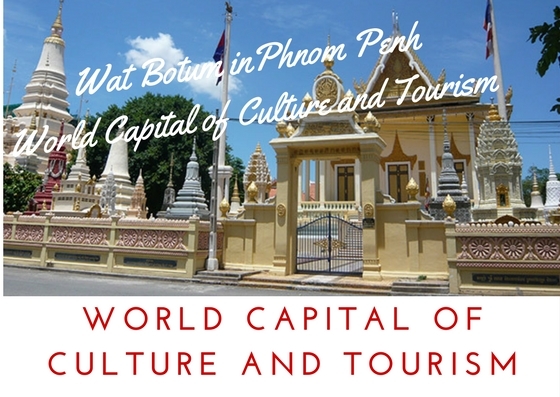 Established as a sanctuary for the Holy Writings and a meeting place for Cambodian and Sri Lankan monks, the Wat was named in honor of these meetings. Wat Botum Padei also one of the oldest religious buildings still in use in the city from 1422 and is compound is crowded with ornate and colorful stupas, including the towering ‘Buddha’s Relic Stupa. PHNOM PENH is not only the seat of rich cultural and religious objectives but is also presenting a long list of tourism centers from the famed Russian Market, Old Market, Central Market, Night Market and a large array of traditional markets, to the incredible riches of National Museum having on display more than 5,000 works of art, ranging from the 7th to the 13th century. 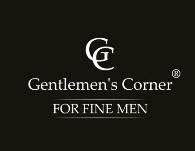 Treasures include sculptures, 19th-century dance costumes, royal barges and palanquins. We have to note also in the panorama of the incredible cultural potential of Phnom Penh the fact that: NATIONAL MUSEUM OF CAMBODIA was voted as a WORLD`S FAVORITE MUSEUM for the incredible treasures encompassing more than 14.00 priceless artifacts and for the perfect ways that are displayed and imbuing the visitors with the message of culture. 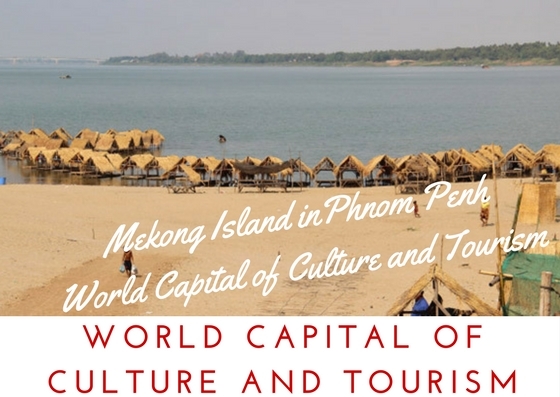 If you wish to take a break from the hustle and bustle of Phnom Penh and venture into a world of peace and tranquility, then a visit to Mekong Island about 15km north of the city centre will be just right for you. Bounded by views of rice paddies, vegetable farms and fruit orchards, Mekong Island not only serves as a venue for an enjoyable day trip or picnic but also enables you to experience the country’s authentic culture at its best. This island occupies an area of about ten hectares of land and is one of the prominent centers of traditional handicrafts in Cambodia, with artisans engaged in silk weaving, pottery, woodcarving and dyeing in its villages. 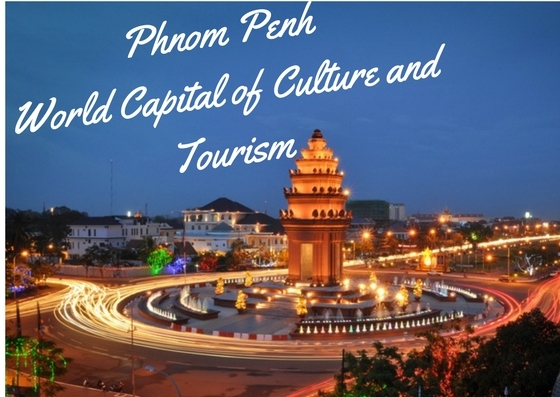 Phnom Penh is waiting the travelers, tourists and all those who want to experience the true charm of Asia and the magic of a World Capital of Culture and Tourism with the open doors. 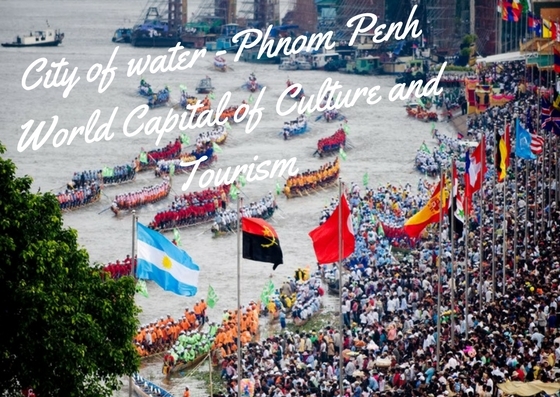 Come and discover the magic of Mekong, come and find your true city of love: Phnom Penh!